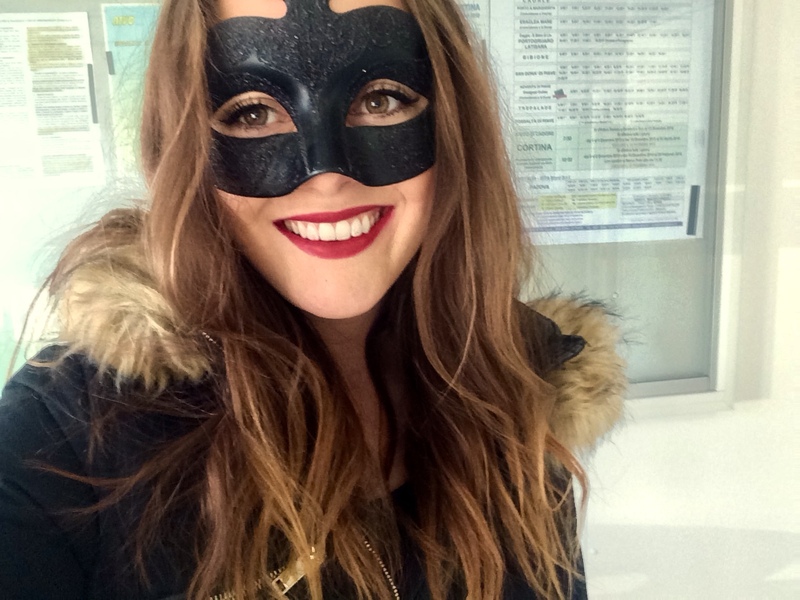 I stayed an extra day in Venice to see the Carnival. I made some friends at the bed & breakfast that I was staying at, and we planned out a fun day. 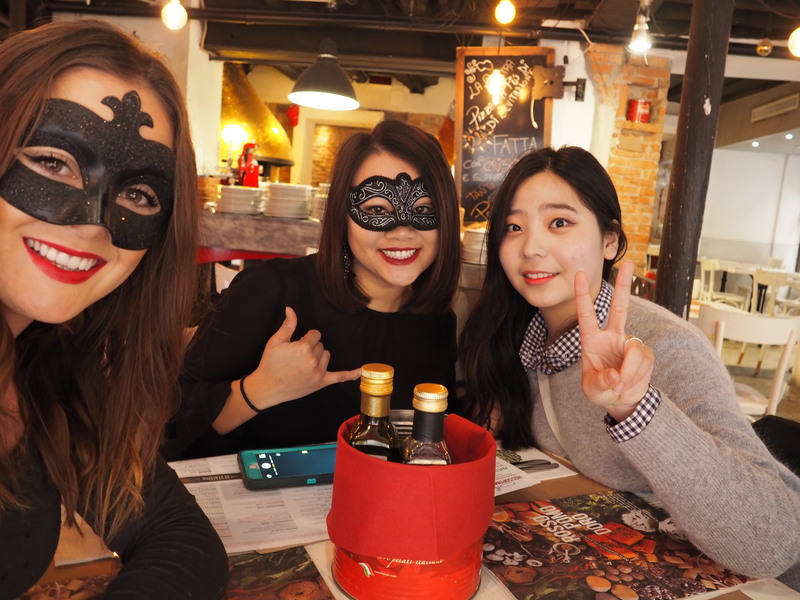 We got ready together in the morning, then headed out for lunch – we wanted some real Italian pizza. We went to RossoPomodoro, which was my favorite pizza place in Venice. We were there around noon, which is early for Italian standards, so we got to chat with the pizza makers a bit. 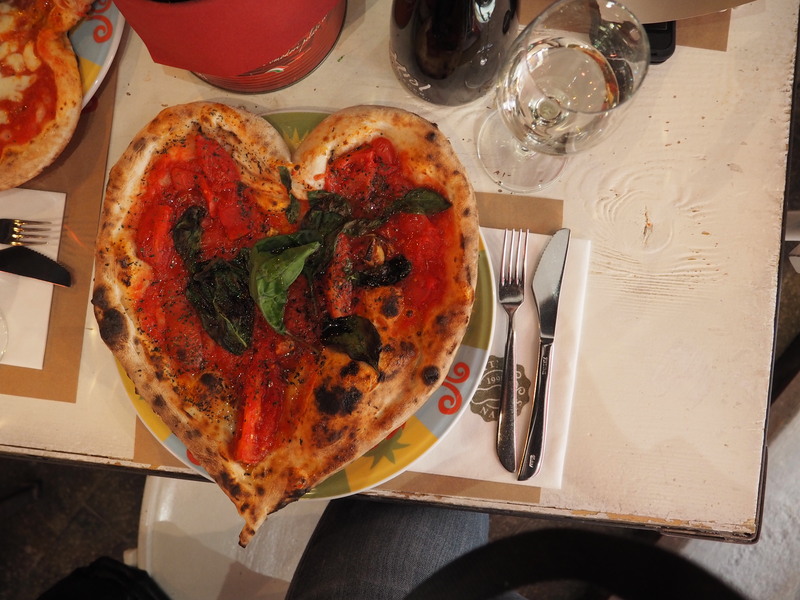 They let us check out the pizza oven and even made our pizzas into little hearts! <3 We split a bottle of Italian prosecco and had a really fun lunch. It even started snowing for a second right outside of the window as we were eating! 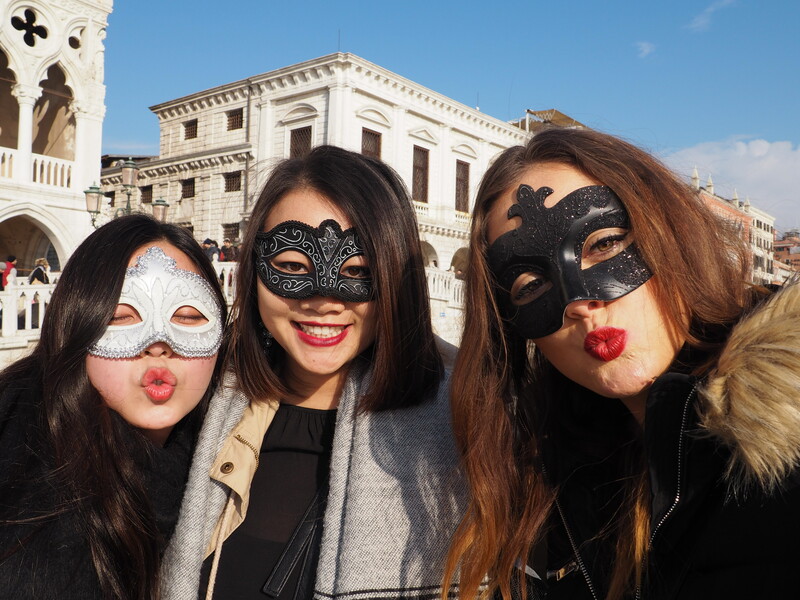 After lunch, we went to the nearby San Marco square and walked up and down the harbor, checking out all of the people on the gondolas and taking pictures with our masks. We spent the day just wandering and laughing before heading back to the house to rest up a bit before the night started. 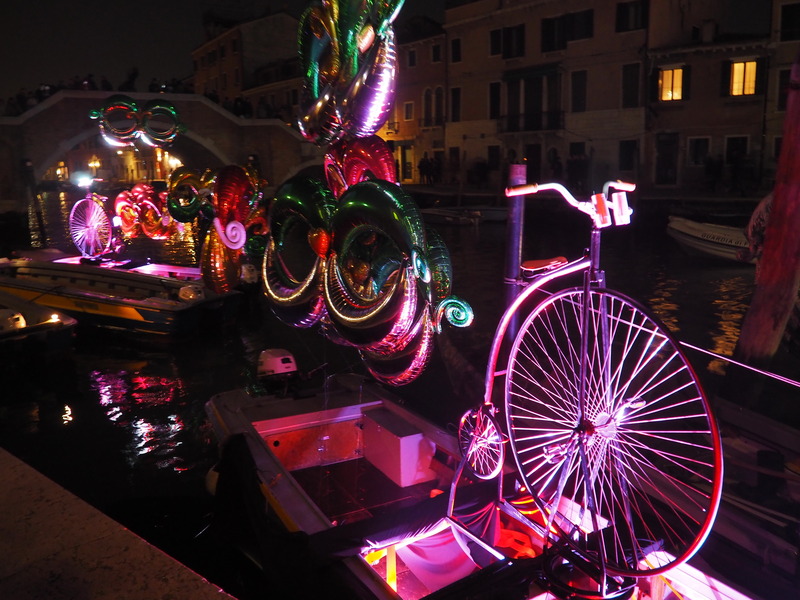 In the evening, I headed out with my host, Mirabela, to check out the lights on the boats! To see more on the carnival, check out my video here.